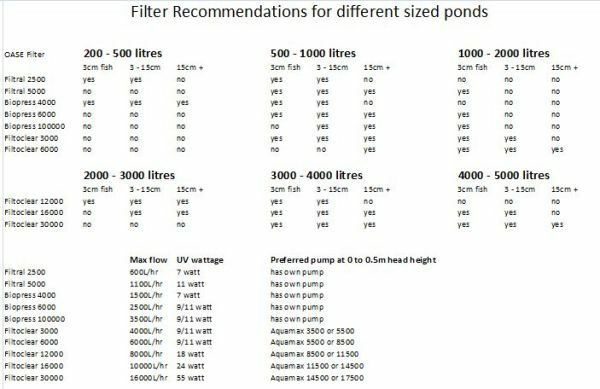 The OASE Filtoclear 30000 is a UV pressure filter that is suitable for 3000 - 5000 litre koi ponds. The best feature though is the filters easy and effective backwash system. The engineers at OASE patented the simple technology of lifting up the blue handle to squeeze out the sponges. Simple right? No other company can have a pressure filter where the sponges are squeezed out from the inside, meaning that for all other brands, the backwash is next to useless. This filter should be paired with a solids-handling pump that has a flow of about 14500 litres per hour. We recommend the Aquamax 14500 if you are not pumping the water up to a waterfall after the filter. Maybe consider a stronger pump like an Aquamax 17500 if you are pumping it up to a waterfall up to a metre high. The globe needs to be changed every 12 months, so let us give you one for free! You're reviewing:OASE Filtoclear 30000 UVC Pond Filter + 1 FREE Spare 55w UV Globe worth $100!